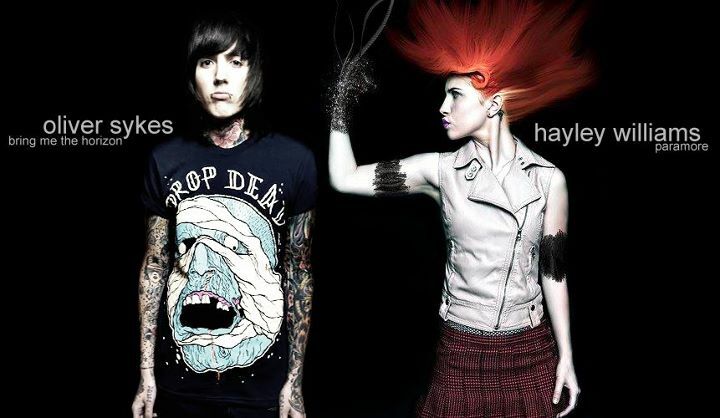 Hayley Williams and Oliver Sykes of Bring Me The Horizon. . Wallpaper and background images in the Paramore club tagged: paramore hayley williams oliver sykes bring me the horizon. This Paramore fan art might contain jersey, t-shirt, tee-shirt, maillot, and tee shirt.